Being Retro: Pirates of the Caribbean: On Stranger Tides and ZOMBIES! 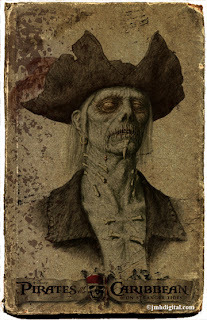 Pirates of the Caribbean: On Stranger Tides and ZOMBIES! 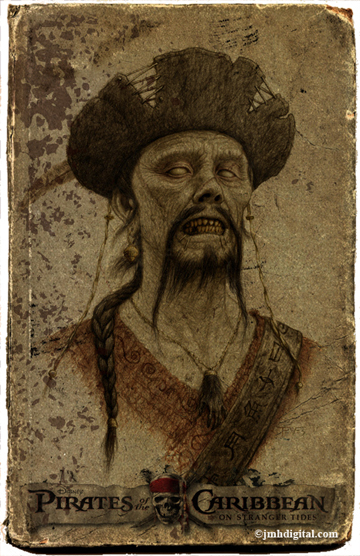 I have found some art/design on that leads me to believe there might be some zombies in the up and coming "Pirates of the Caribbean: On Stranger Tides" brought to us by the ever popular "Disney". I wanted to let you know I am going to have a months worth of post on "Two Thumbs, Eight Fingers" my other site that is devoted to movies, music and other things I think you might be interested in. I have of course added my spin to this art, and would like to give credit to the artist, which I am having trouble making out "TEVEZ" so if you know them... please thank them! More things of art arrrrgggghhhh coming, and I will introduce to something else I have created when I should have been resting from that two week long battle of sickness. Y is for Yvonne Strahovski! - I do love "NBC's Chuck"! X is for... An X-file? - depends on how you see it! X is X-rated... - Just a funny! V is for... Victoria's Secret - Was for the Ladies! Q is for Q's... - Four Q's... say that fast! There are going to be zombies in this one?? I know both Robyn and Sylvia! There was an advertisement yesterday on tv and it defo mentioned zombies. Woohoo! I'm thrilled. Timing is everything. 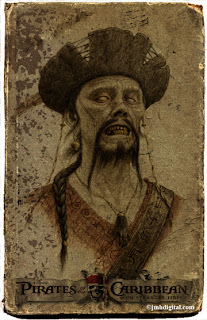 I admit, I was not into zombies until now. Now, I'm all over them. Um, let me reword that statement. In the meantime, thanks so much. It's an honor to be your 200th.